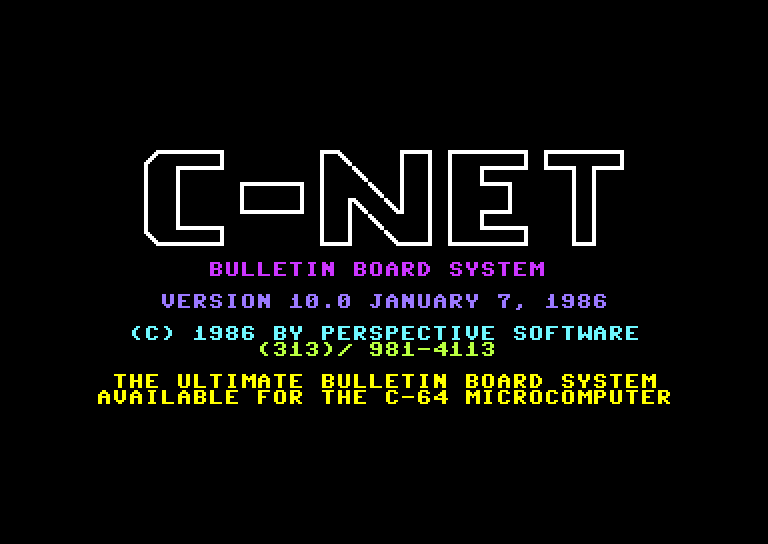 C-Net BBS v10.0 by Perspective Software - Release January 7th, 1986. 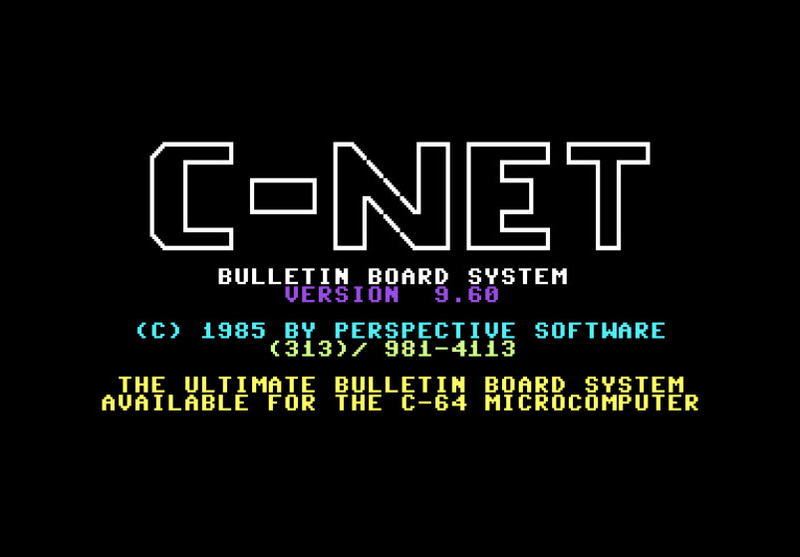 C-Net BBS was one of the best and earliest BBS programs for the Commodore 64. C-Net made it to version 12.0 before transofrming into DS2 or Image because of a parting of ways from developers.